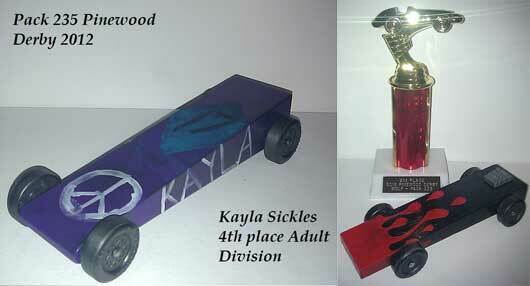 Pinewood car derby blocks with precision drilled axle holes. It's as easy as ABC! Weights should be added to the back of the car for the most speed so keep this in mind when designing your car's shape. 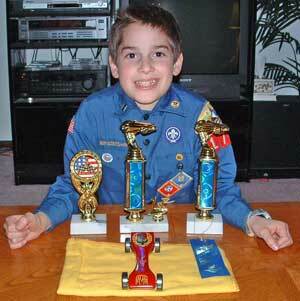 Design your pinewood derby car so that the axle groove closest to the end of the car block is the rear axle. This will make your car more stable when you add weights to the back. The front of your pinewood car should be at least 1/2" wide to make sure that it rests against the starting pin correctly and will trip the timing trigger at the end of the track. A rasp is a great tool to use for shaping your pinewood derby car. Use a saw for removing a lot of wood then the rasp to fine tune the shape. The car blocks on this page can be ordered with standard axle slots or axle holes. We also offer standard wheel spacing and extended wheel spacing. Precision cut slots - your car will run straighter, greatly reducing the need to make adjustments to the axles. Available as an extended wheelbase (when rules permit). Block is easy to cut and shape. Our blocks are made from a soft pine. It is very easy to work with compared to other pines. The axles on our extended blocks are placed as close to the edge of the block as possible without exceeding the seven inch maximum car length rule. An extended wheelbase makes the car more stable and allows placement of the weights farther toward the rear of the car giving the car more speed. Our Wedge and Racer pinewood car derby blocks are now available with the weights pre-installed. The cars will weigh between 4.7 and 5 oz when finished depending on the paint and accessories added. We recommend that you use our Stick-On Weights or Tungsten Weights to fine tune your car's weight to 5 oz. These blocks are the official BSA dimension 1 1/4" high, 1 3/4" wide and 7" long. Same as our Blocks except they have been cut into a low wedge shape. The back is 1" high and the front is 3/8" high. Same as our Blocks except they have been cut into a low sport car shape. This block is 1" high. It depends on your rules. Our fastest block is the Extended with one raised wheel. To use this block, your rules can't prohibit raising one wheel and should allow non-standard wheel spacing. 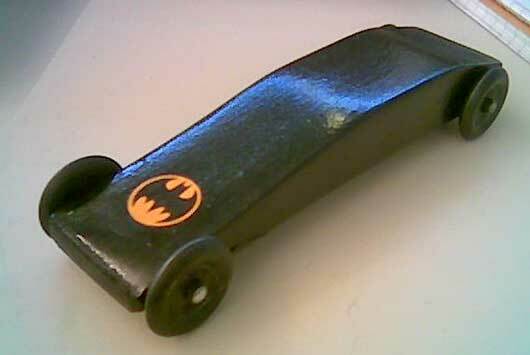 These fenders are within the maximum car width requirements for Pinewood Derby rules. 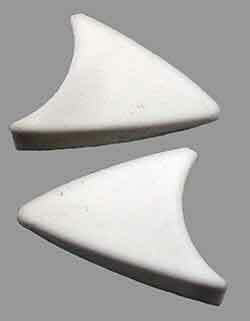 Pre-shaped rear fenders for wedge shape cars and other pinewood cars with high sides. Can be used with our , Wedge and Racer car blocks. This is the second year in a row we have done great. My 12 yr old daughter won 4th in the adult devision and my son got 2nd in his pack. The pre cut and drilled blocks made my job so easy . thanks again and you can expect more purchases from my family in the future.... John S.
Joe's extended wheelbase Racer pinewood car smoked all others in pre-race practice and its time of 2.918 was second-fastest among all pinewood cars in all age groups(about 40 cars). The fastest was 2.915.
" It was a great day at the derby. Jonah's car won 1 st place in his Den, first place in the Pack and I couldn't believe it but he also won for Best looking car! It sure beats finishing 7 th like we did last year. " We came in first! From dead last last year to first place this year. Next week at the den meeting I'm supposed to tell them how I did it. 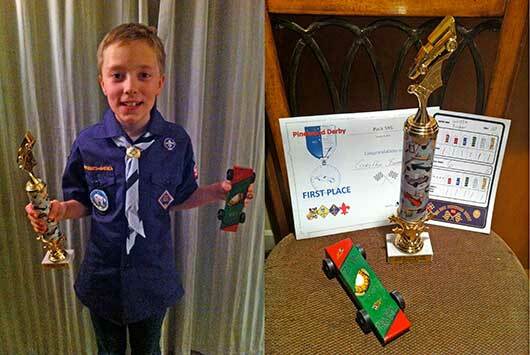 My Son got 1st place out of 450 pinewood cars.... He won every pinewood car race....we used your extended wheelbase block with the raised wheel and the grooved graphite coated axles.....thanks for the magic and speed....Steven R.
Thank you and we wanted to tell you we won the Pack derby with our car. ....Mary W.
Outstanding products and service! Aaron took 2nd place in our pack by beating every car but one. At district this first place car was disqualified. It is the dads and not the kids that bend the rules so we did not press it. So in other words, we technically had 1st place. Thanks again!